Insurance regulators are joining federal prosecutors and congressional Democrats in scrutinising the Trump Organization, following accusations that the real estate developer lied about the value of its assets to insurers. On February 27, President Trump’s former lawyer Michael Cohen testified before the House Oversight Committee. Among the many allegations Cohen made against the President, he said in his congressional testimony that Trump’s company, the Trump Organization, filed false financial statements with its insurance companies. Earlier this week, New York’s Department of Financial Services issued an expansive subpoena to Aon, the Trump Organization’s insurance broker as part of an inquiry into the alleged falsified documents. 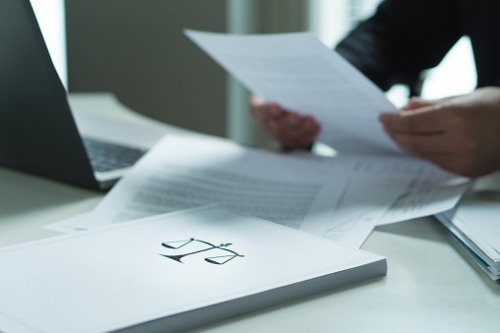 Although the Department of Financial Services cannot conduct criminal investigations, it can refer any possible illegal activity it uncovers to prosecutors. A person familiar with the matter told The New York Times that the subpoena that was served on Aon contains no indication that the company – or any of its employees – engaged in misconduct. The subpoena also does not specify any possible wrongdoing that state regulators would be investigating for. Under the subpoena, Aon is requested to hand over materials related with its business with President Trump and the Trump Organization, which date as far back as 2009, the source added. Copies of all communications between Aon and Trump and his company, as well as any of the broker’s internal documents relating to Trump and the company, have been requested. The subpoena requests that all the materials be turned over by March 19. Regulators will also investigate compensation for both current and former Aon employees who handled the Trump Organization account. A spokesperson for Aon has confirmed that the company intends to cooperate with the inquiry. Has Donald Trump just handed Berkshire a $49.4 billion boost? Could ‘Trump effect’ boost Lloyd’s?